Kansas is an excellent state for kids to celebrate their birthdays. Create lasting memories at pony ranches, mini golf courses, discovery centers and more. You’ll surely give your child a celebration to remember at these 10 best places for a kid’s birthday party in the state. The Rink in Ottawa can host your next kid’s birthday party at a reasonable price and the staff will even help all the first-time skaters. Even though the Rink is closed for the summer months, this place will accommodate summer birthdays too! 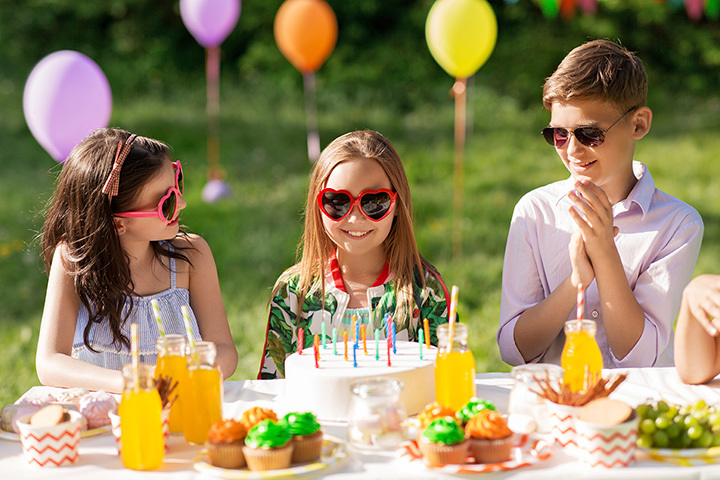 Let your youngsters enjoy their next birthday party at Walnut Bowl & Mini Golf in Great Bend. Purchase the all-inclusive birthday party package or pay as you play. It’s great fun for all ages! At Hickory Creek Ranch in Spring Hill they offer a lot of old fashioned horseplay. Some of the things to do are pony rides, outdoor games, hayrides, and marshmallow roasts, which will keep the kids busy enjoying their birthday parties. Let the staff at PowerPlay in Shawnee assist you with your next kid’s birthday party. Numerous attractions and games are targeted for fun, and that includes every age group. Celebrate your best kid’s birthday at the Kansas Children’s Discovery Center in Topeka. So much to see and do and everything is packed with fun and educational play in a great kid friendly environment. Oh, what a classic kid’s birthday. You simply cannot go wrong with this one! A different way to celebrate a special kid’s day is at a “Build-A-Party, by Build-A-Bear Workshop” and everyone can take a keepsake home. Watch your child’s face light up as they create a furry friend. Gather up the kids and celebrate special birthdays having fun with the animals at the Safari Park in Caney. A cool place where kids get to do some special zoo activities on their birthdays! They pack a whole lot of fun in their birthday parties at Jumpin’ Joe’s Family Fun Center in Salina. There is a party room for drinks, food, ice cream and cake, tokens for games, laser tag and much, much more. They do kids birthday parties at Pottery Works in historic downtown Hays. This “paint your own pottery studio” lets the creative side come out in all you party guests. Birthday swimming parties are the best at the Grant County Swimming Pool in Ulysses. The pool can accommodate your quests and the indoor pool will work as well on bad weather days.